(This relates to my photography journey, I swear). I went to school for I don’t even know how many years (20? 21? I lost count after about 12). So when I was done, I did the one thing any self respecting educated woman would do – I got a job (well, first I spent a very long time looking, then I got a job). A career to be precise. And I loved it. I actually really enjoyed my job, worked hard, and earned the respect of my colleagues. Then I got pregnant. Almost overnight I started vacillating between quitting my job and staying at home with the new bundle of joy, or staying in my job (I mean my career) and hiring a full time nanny and house cleaner. I ended up picking the latter, but in hindsight I find it interesting that never once did I picture a grayer alternative. It was so black and white. When the baby girl came, I (sort of) took a couple months off, but I worked to some degree almost my entire maternity leave. I did it so I could ease back in, that is come back essentially part time for a month or two so my parting with the babe was not so abrupt. When I went back to work though, I was back. And out to prove myself for all working mothers out there. I worked hard. Very hard. At the time I felt guilty for the disparity in hours I saw my own child compared to the hours my nanny saw my child. But I did not see an alternative. I couldn’t give up my career. Work got even busier and I worked even harder. I got a promotion. Then I got pregnant. Again. Fast forward nine months and I was on “maternity leave” again except this time I pretty much blew it off. I was back at meetings when Baby Girl 2 was not even 3 weeks old and traveling out of state when she was less than 2 months old. With my pump, of course. I truly felt I had to do this to prove myself worthy of my career. But with the additional child came additional stress and an additional little soul that needed my love and attention. I just couldn’t do it. I cracked. The guilt won. But maybe the guilt was right. I tried to quit my job, really I did, but I ended up committing to 10 hours a week. To someone accustomed to working 70 hour weeks, this was pretty much nothing. But it was enough to keep me actively engaged. And the kids were in school part time anyway. And now I had something so precious that I never knew I needed so badly. Time. Time to spend with my children. Time to teach them things. Time to get frustrated with them and lose my temper. Time to snuggle. Time to cook dinner. Time to actually buy the groceries involved in doing such a thing. Time to have a glass of wine in the evening with my husband instead of my email. Time to type this blog post. Time to launch my photography dream into a reality. So thank you guilt, and my epiphany, and my stress. For letting me know that it’s not so black and white. Because now I still have a career that I love, plus a new job – one that allows me to capture beautiful moments for people and make them smile. And, most importantly, I have time for my children. Lots of it. I also recognize I am not alone in this tug of war between home life and work life and the so called “having it all.” I don’t think women want it all – I think they just want more time. Time to spend with their children and adjust to new lives. Sadly, the United States has abysmal respect for this journey (for women and men alike). 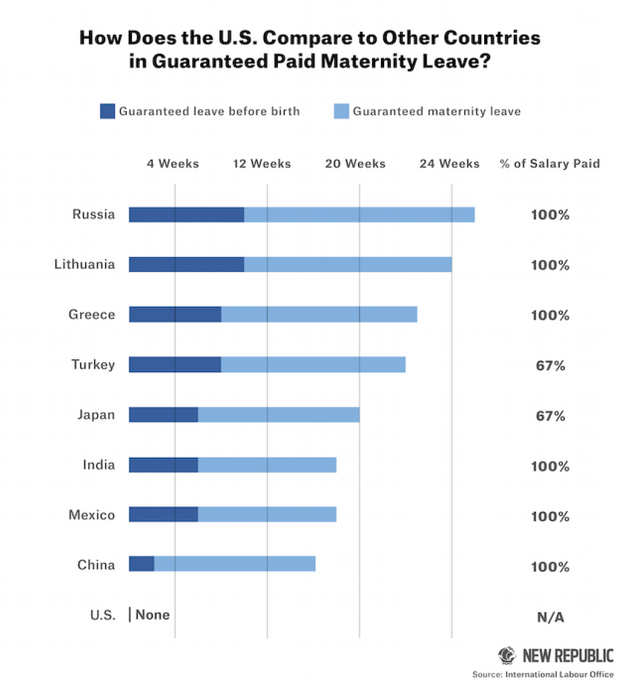 Take a look at how we rank for maternity leave. It’s depressing. The full article is here and rings so true to me. Labor Pains. More women than ever are having babies at the peak of their careers. Somewhere smack dab in the middle of my “epiphany,” I was sent the below article. And it gave me hope. I hope that employers and employees alike can agree that what works for one person might not work for another, but that what we all need are choices and options. And to be respected for those choices. Want a flexible work schedule? This Knoxville startup is now in Nashville to help you out. So now I continue with my photography journey.